The office building at 2165 Spring St. in Long Beach, Calif., is ready for occupants with updated interior spaces and an attention-grabbing exterior. Dri-Design Tapered Series Panels were integral to creating a new image for the building and adding dimension to the exterior. 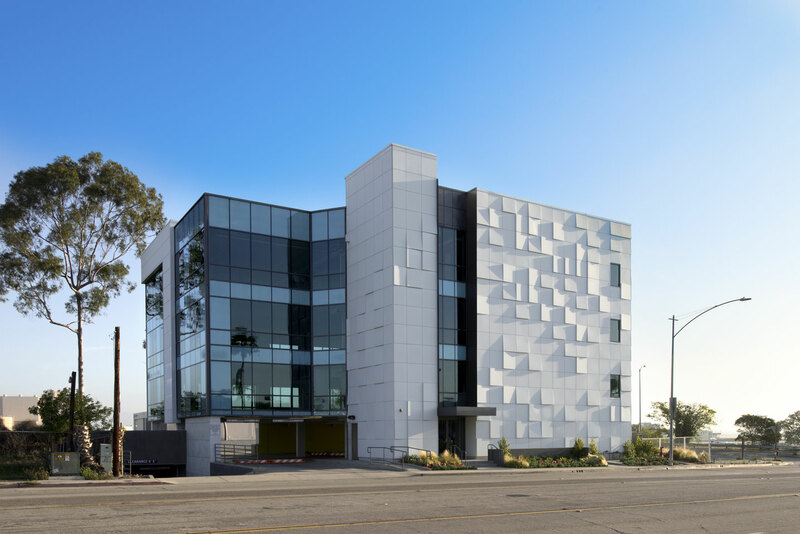 Emerald Metal Products, Signal Hill, Calif., installed 7,651 square feet of Tapered Series Panels and standard Dri-Design Panels in Bone White and Medium Gray colors. The panels were distributed by 2H Construction, Signal Hill. Tapered Series Panels create a truly one-of-a-kind facade because they can be angled in any direction to varying degrees and depths. This design freedom happens without the need to modify the substrate or weather barrier. The 4-story structure, constructed in 1985, has covered parking on the first floor. The improvements now make the building a sought after rental space.